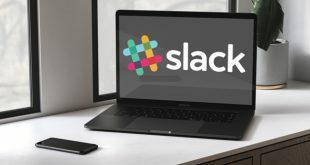 Slack is one of the most popular messaging apps that allows team and community members to collaborate and work together. While Slack provides some of the best features, most of the options are buried deep under different menus. If you are like me and would like make life easier using shortcuts and commands then Slack has your back. 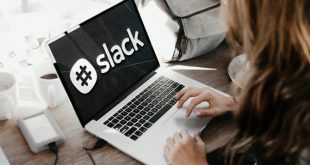 Here are the best Slack commands every power user should know to work better and faster with Slack. This is command is used when you want to get a message to everyone on your workspace, not just in a single channel. Since the message reaches to everyone, you can only use this command in a team-wide channel. Also, the message will be delivered regardless of the user status like online, offline, busy, away, etc. While @everyone is used to mention everyone in your workspace, @channel can be used to send a message to everyone in a specific channel. The message will be delivered regardless of the user status like online, offline, away, etc. If a user is not a member of the said channel, he or she won’t be notified of the message. You can use this command when you want to notify all the currently active members of a channel. In case you are wondering when a member is actively using Slack, you will see a green dot next to their name. You can use /dm or /msg to quickly send direct messages to a user in your team no matter on which channel or user screen you are on. While using this command, you don’t have to manually select the user from the Direct Messages list and then send the message. Instead, all you have to do is type /msg @someone <your message> and press Enter. This is a very simple command. When used, it will display italicized text. For instance, if you type /me let’s go to lunch, Slack will display let’s go to lunch. This is a very useful command that lets you set reminders within Slack. The syntax for setting up a reminder is very simple, it looks something like this: /reminder @someone/#channel [what] [when]. For instance, if you want the Slack bot to remind you to drink coffee at 4 PM then the command will look something like this. Obviously, you can set more complex reminders like recurring reminders, message reminders, reminders for specific dates, days, time, alternating weeks, etc. You can know more about how to use the Remind command in Slack from here. You can use this command to invite a user to a channel. For instance, if you want to invite a user to a public channel then the command looks something like /invite @someone #channel-name. If you want to invite some to a private channel you need to execute the command directly in the private channel. In that case, the command will look something like /invite @someone. Use this command to leave a channel. In a channel, when you have a lot of in-line content like images, videos, and other stuff, use the /collapse command. This will collapse all the content immediately. As you can tell from the command itself, /expand is opposite to /collapse. Which simply means that when you use this command, it will expand all the collapsed inline content. This command archives a channel, removes it from the list, and restricts any new activity. The Archive command is very useful when you want to remove a channel but want to keep all the previous activities and conversations intact and searchable. When used, this command will show ¯\_(ツ)_/¯. If you use this command along with some text, Slack will append ¯\_(ツ)_/¯ at the end of the message. This command allows you to toggle Away status. This command is the exact opposite of the /away command. It sets your status to Active. Using the /dnd command you can activate Do Not Disturb mode to a set amount of time. For instance, if you don’t want to be disturbed for 30 minutes, you have to enter the command something like /dnd for 30 mins. You can also specify exact time either in 12-hour or 24-hour formats. While in DND mode, the users who are trying to send you a direct message will be given an option to force the message to reach you. This is very helpful in important or urgent situations. You can know more about the DND feature from here. This command will list all the users in the current channel. Alternatively, you can also add the channel name to see all the members of that specific channel. When you add the channel name, the command will look something like /who #channel-name. This is an admin only command and it allows you to rename the current channel. The usage of this command is very simple, just enter /rename [new-name] and press Enter. You will be prompted for a confirmation. Click on the Rename button and you are good to go. Using this command you can quickly star the current channel or conversation. Just enter /star in the message field and press enter. Unfortunately, there is no command to unstar a conversation or channel. You have to manually click on the Star icon appearing next to the channel name or personal name. The command says it all. Just type the command and press the Enter button to see all the available shortcuts for Slack. You can use the /open #channel-name command to quickly navigate the channel you need. By default, the Slack preferences or settings menu is buried deep. But, you can easily open the preferences page by using this single command from anywhere within Slack. /remove as the name suggest removes the user from a specific channel. Simply type in /remove, followed by the member’s display name instead. 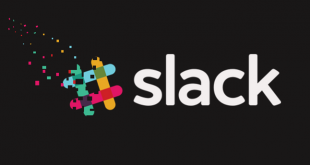 The member will immediately be removed from the channel and will get a Slackbot message letting them know. Note: You cannot remove users from the #general channel. That’s it for now. If you think I missed any other useful Slack commands then do share them in the comments form below.